A woman peruses different vegetable options. The city will now match 100 percent of Link funds at Evanston farmers’ markets this season in an effort to make locally grown fruits and vegetables more accessible to low-income customers. The city will now match 100 percent of Link funds at Evanston farmers’ markets this season in an effort to make locally grown fruits and vegetables more accessible to low-income customers. 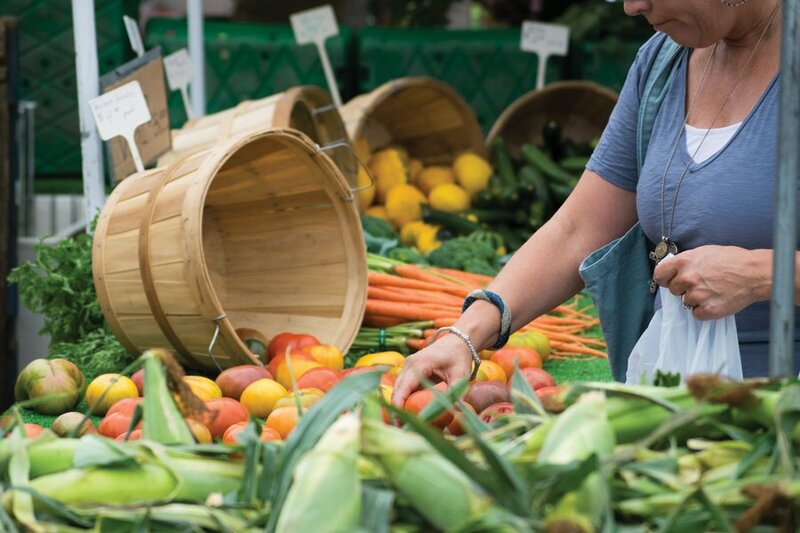 After securing an $8,000 U.S. Department of Agriculture grant and increased funding from local nonprofit Friends of Evanston Farmers Markets, the city will distribute about $21,000 worth of matching funds this year, said Myra Gorman, the city’s farmers’ market coordinator. The increase is a 50 percent raise from 2016. Customers who use their Link cards — electronic debit cards issued to anyone eligible for food stamp benefits — to withdraw money at machines in the downtown market will receive double the amount they asked for. Last year, the city was only able to match 50 percent of Link money because there was no USDA funding, said Vikki Proctor, president of Friends of Evanston Farmers Markets. In addition, Proctor’s nonprofit’s own grant money had expired, leading to even lower reserves. However, Proctor said the organization’s current financial outlook made her confident it could help fully match the Link money this season. Gorman said the city is also going to hold learning and cooking sessions from July through September to show community members how to make local, healthy meals with the produce. This season, the farmers’ markets will also have six new vendors, all from out of town, Gorman said. Because Evanston doesn’t have its own farms, many vendors are drawn from the rest of Illinois, Michigan, Indiana and Wisconsin, she said. The new vendors will provide diverse and specialized products ranging from premium barbecue sauce and black garlic to large plant material and hydroponically grown microgreens, Gorman said. “We try to bring vendors that fill a hole in our market and that seem like the right fit,” she added. Many of the new vendors said they are looking forward to networking with the customers. Vendor Mike Friedman, founder of Broad Shoulders BBQ, said he hopes to fulfill an “unrealized demand” in Evanston with his barbecue sauce, which he said will complement the meat and produce already sold at the market. In turn, Friedman said, Evanston’s dedication to supporting the community will help raise awareness for his business, which donates some of its proceeds toward youth programs and charities. Windy City Greens managing partner PJ Mazza said his hydroponically grown microgreens will contribute to a bigger health-conscious effort in Evanston. Mazza participated in the indoor farmers’ market, held at the Evanston Ecology Center for the past six months, and said he made great connections with community members interested in local, organic products.